DOH-Pinellas said, these new findings now make seven cases of measles in Pinellas. Before August, there was not a single case of measles in 20 years. The cases are no longer contagious, but DOH-Pinellas says that the individuals may have come into contact with thousands of people, working with health care partners to continue their investigation. They also encourage anyone who has not received the MMR vaccine. 5 months of age are at greatest risk of catching the measles because they are too young to receive the vaccine. It's about Nakeysha Fritts, whose 3-month-old daughter Destiny is too young for the shot, making her more susceptible to the highly contagious virus. "It's really, really scary," Fritts explained. Maggie Hall, spokeswoman for DOH, says it's frustrating that measles are making a comeback after so many years. "Science has eradicated the virus with vaccines, but it's still out there, it just looks like a way to invade your system, and if you do not have that protection from the vaccine, it's coming in." Hall hopes that parents who have not vaccinated their children will think again. She says there is no connection between vaccination and autism – and the decision that some parents make makes the whole community at risk. "The one study they refer to again and again is so outdated and so discredited that it is not even funny," she said, sighing. Hall says if your baby is under one year old, her best advice: Make sure all the others in the family, including grandparents, are up to date with a measles shot go a long way to you and to keep your little one safe. 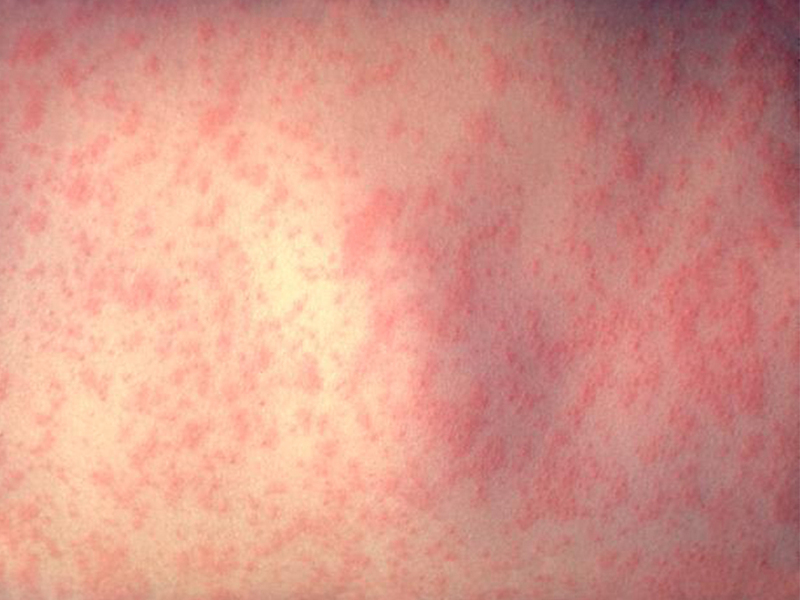 Measles are highly contagious and anyone who catches them is urged to stay away from public places for at least 3 weeks. Measles is a virus spread through air droplets when infected people breathe, cough or sneeze.The first symptoms are a fever that can reach up to 105F, coughing, runny nose and red, watery eyes commonly associated with measles appears three to five days later. Those with current MMR vaccinations have immunity that unvaccinated people do not have, according to the DOH Pinellas. People who have a cough, have a runny nose and red eyes need to contact their health care provider before they even notice a measles rash.